A team led by Case Western Reserve University researchers has found a significant new relationship in spiral and irregular galaxies: the acceleration observed in rotation curves tightly correlates with the gravitational acceleration expected from the visible mass only. In a paper accepted for publication by the journal Physical Review Letters and posted on the preprint website arXiv, the astronomers argue that the relation they’ve found is tantamount to a new natural law. 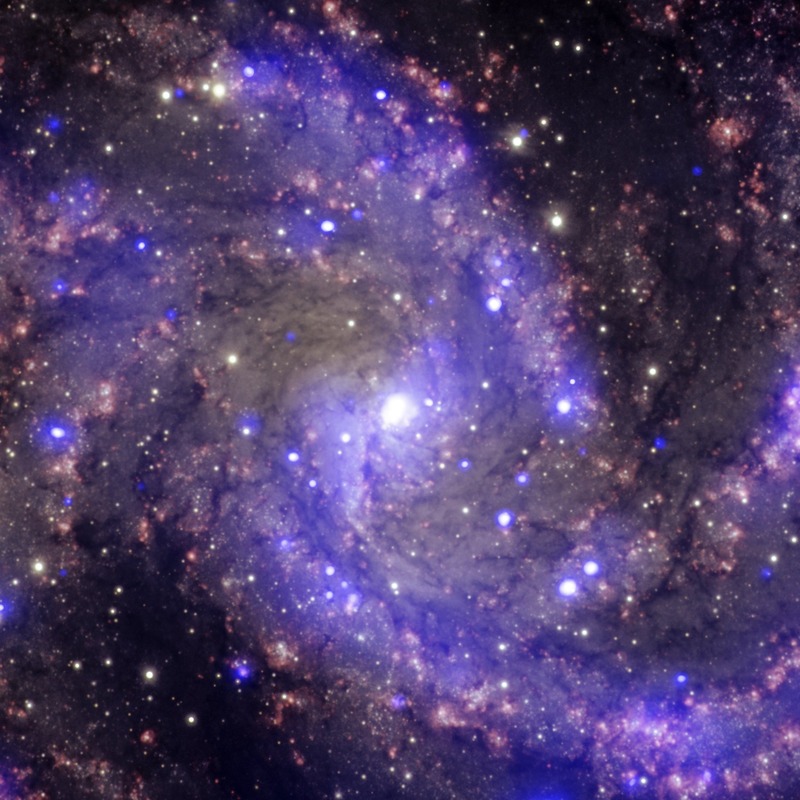 In spiral galaxies such as NGC 6946 (shown above), researchers found that a 1-to-1 relationship between the distribution of stars plus gas and the acceleration caused by gravity exists. In the late 1970s, astronomers Vera Rubin and Albert Bosma independently found that spiral galaxies rotate at a nearly constant speed: the velocity of stars and gas inside a galaxy does not decrease with radius, as one would expect from Newton’s laws and the distribution of visible matter, but remains approximately constant. Such ‘flat rotation curves’ are generally attributed to invisible, dark matter surrounding galaxies and providing additional gravitational attraction. “If you measure the distribution of star light, you know the rotation curve, and vice versa,” said McGaugh, lead author of the research. “The finding is consistent among 153 spiral and irregular galaxies, ranging from giant to dwarf, those with massive central bulges or none at all. It is also consistent among those galaxies comprised of mostly stars or mostly gas.